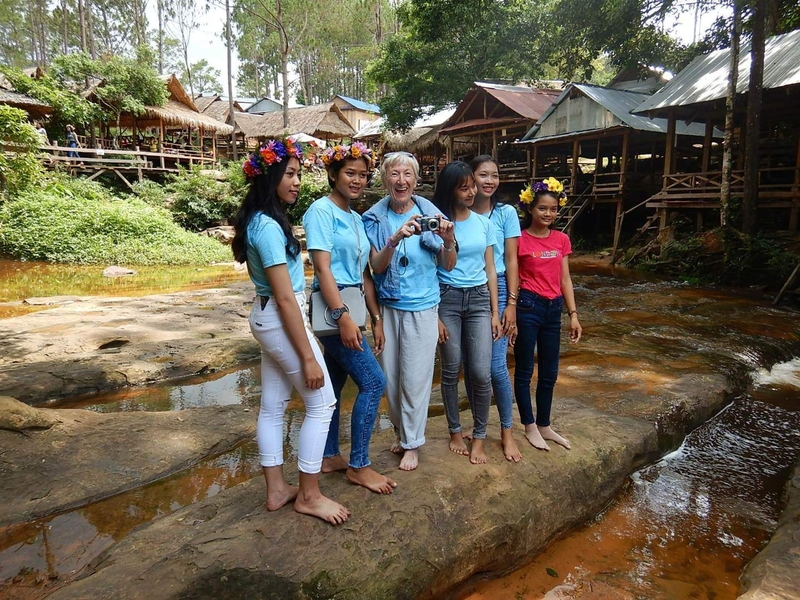 Day trip to Kirirom: – Kidshelp Kambodscha e.V. 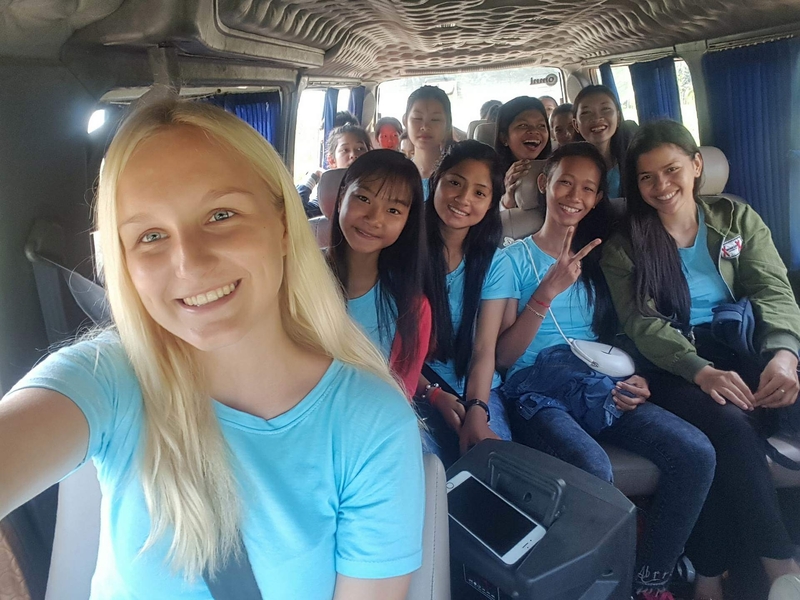 After Jutta and I have been teaching for some time here at the school in Cambodia and our stay is coming to an end soon, one thing became increasingly clear: We would like to do a day trip with our two classes as a farewell. 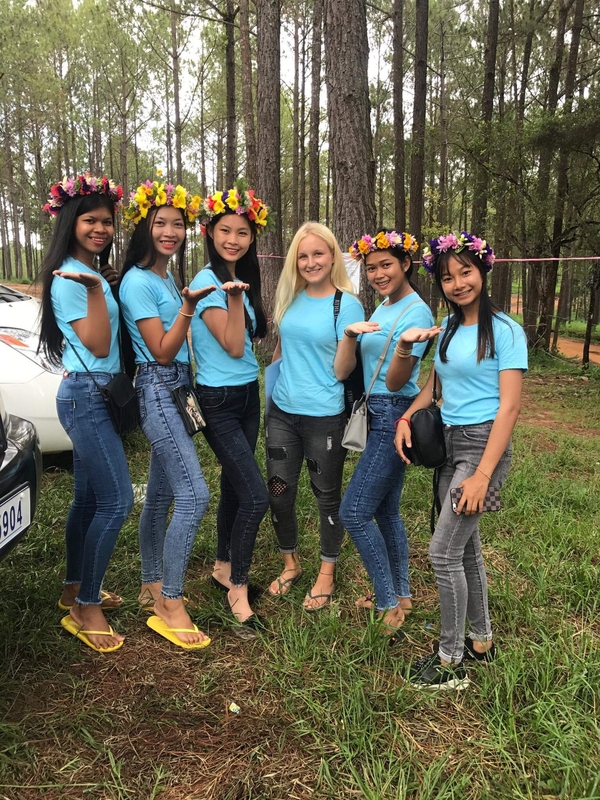 Firstly, they had repeatedly expressed the wish for such a trip and secondly, we wanted to provide the students with some time off their often stressful everyday life. During our lessons we discussed detailed pros and cons of the possible destinations in English. Since many – maybe even all – students can’t swim, the risk of going to Sihanoukville, i.e. to the open sea, was too high for us as volunteers. Other suggestions like Kampot also fell out due to the distance and our tight budget. Fortunately, however, we were finally able to agree on a destination: The Kirirom National Park. Thanks to a small fundraiser from our friends and families in Germany and Kidshelp’s promise to take over some of the expenses, we were able to finance the trip to this park without any problems. After all preparations had been made and everyone started to become excited, we headed out at 6am on Sunday morning. Since all students sang and were in a super good mood in the bus, the almost 4-hour long and super bumpy ride did not feel that long after all. Arriving in Kirirom, Jutta and I were invited by our students to share traditional meals with rice, fish and vegetables, which we were very happy about. We took a seat in a kind of covered sitting area to enjoy being together and taking in the surrounding nature. The passing river, which was something special for the students, together with the heat and humidity of the day, created a strong desire for cooling off among the children. Hence the bus driver, who fortunately knew the park well, drove us to a perfect and shallow bathing zone. Since we knew that the students did not have sufficient swimming skills, we were very careful that the water was not too deep and the current was not too strong. It didn’t take more than ten minutes and most of the students were in the water (fully clothed) and had loads of fun. There was an unbelievable amount of laughter and thousands of photos were taken. Our students were well prepared though because, fortunately, they had brought extra clothes to change into. Unfortunately the day had only so many hours and we had to head home afterwards. Around 7 p.m. everyone was back at school in one piece. The fact that the following day our students asked us where we would go next, felt like a confirmation that they enjoyed it very much. Looking back, it was an unforgettable experience and we are very happy to have seen our students so happy and satisfied.